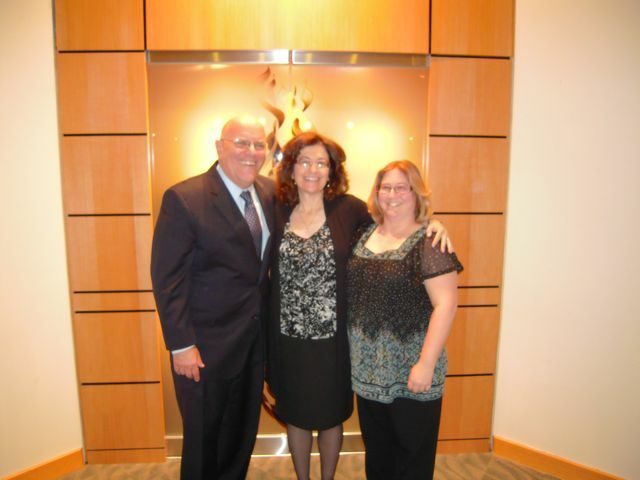 I have recently returned from an exciting VOG trip to Florida, visiting synagogues and schools. The trip began on Thursday, April 28, with a teacher training session hosted by the Commission for Jewish Education (CJE) in West Palm Beach in which the VOG curriculum was introduced. In addition, CJE helped to organize speaking engagements at Temple Shaarei Shalom in Boynton Beach, Temple Israel in West Palm Beach, Temple Beth Torah in Wellington, Arthur I. Meyer Jewish Academy in West Palm Beach, Congregation L’Dor Va Dor in Lake Worth. 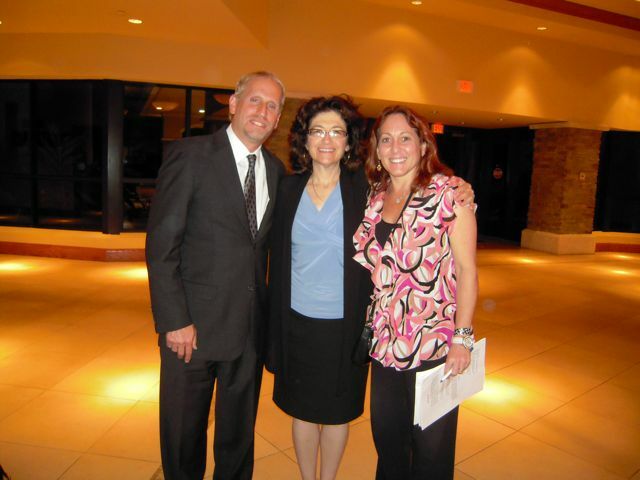 In addition, I was also a guest speaker at Congregation Kol Tikvah in Parkland. 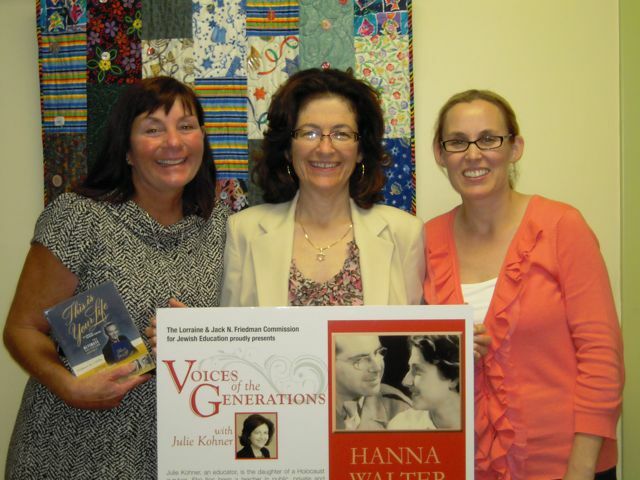 “Julie’s presentation of her parents’ life before, during and after the Holocaust shines a bright light in everyone’s eyes. 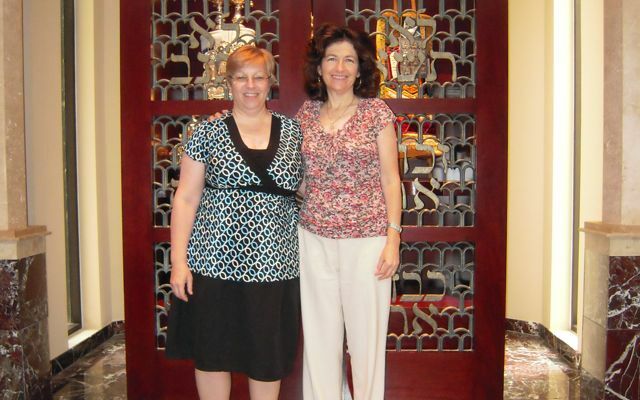 Remembering the days of strife and ending in a love story that lives beyond the test of time is truly both remarkable and heartwarming.” Beth Pennamacoor, Cantorial Soloist/Director of Education, Temple Beit HaYam, Stuart, Florida.